Shovel shingles industrial grade with 7in blade serrated hardened steel. Head single seamless design ensures maximum strength. Its curve makes sliding the shingle while its two pivot points provides more performance with minimal effort. A one-piece unique head design, with no welds, for maximum strength effort. Its curve allows shingle to slide over and its 2 pivot points give more performance with minimum effort. Move and shovel grain, seed, feed, fertilizer and other granulated material thanks to the Garant Agro Series grain scoop. This tool is equipped with a large capacity, robust blade made of ABS that will not damage the grain. This grain shovel is especially designed for farmers looking for a robust, efficient and comfortable tool. This 2030PPlus Broadcast Estate spreader with large capacity for larger lawns. The 2030PPlus is equipped with 9/22cm high-flotation tires that roll easily over rough surfaces.The rustproof poly hopper holds 65lbs of material and the EV-N-SPRED<sup></sup>3-Hole Drop Shut-Off System ensures an even application of all granular materialswith professional results. Fully assembled in the box this unit comes ready to work. Garant Garden Care spading fork with a one-piece forged and tempered steel head, hardwood handle and ergonomic poly grip. Perfect for turning clayey or hard soil in flower beds and vegetable gardens, and for transplanting perennials and shrubs with minimal damage. 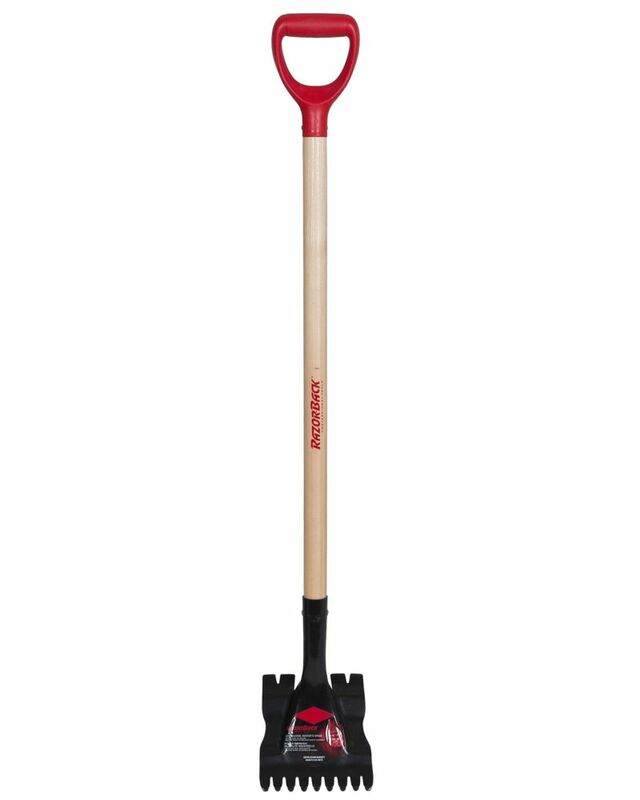 Garant Garden Care drain spade with tempered steel blade, forward-turned steps, reinforcing steel collar and ergonomic poly grip. The perfect tool for installing irrigation and landscape lighting systems or for digging shallow trenches around flower beds. Razorback Roofer Spade Shovel shingles industrial grade with 7in blade serrated hardened steel. Head single seamless design ensures maximum strength. Its curve makes sliding the shingle while its two pivot points provides more performance with minimal effort.